BPS Research Digest: If obesity is a disease, is labelling it that way the cure? If obesity is a disease, is labelling it that way the cure? When the American Medical Association formally recognised obesity as a disease in June 2013, plenty of public health officials were thrilled for the increases in research, treatment, and prevention funding that would presumably arise as a result. But were people right to herald the labelling of obesity as a “disease” as something positive for public health? Or could this label have unintended negative consequences that could actually backfire? Psychologists Crystal Hoyt, Jeni Burnette, and Lisa Auster-Gussman of the University of Richmond and the University of Minnesota were concerned that labeling obesity as a “disease,” a tactic that reduces perceptions of controllability, might have the unintended side effect of demotivating behaviors with the intended goal of losing weight. To examine whether or not this concern held any water, they conducted a series of studies that would determine if exposure to “obesity-is-a-disease” public-health messages negatively impacted nutritional choices. 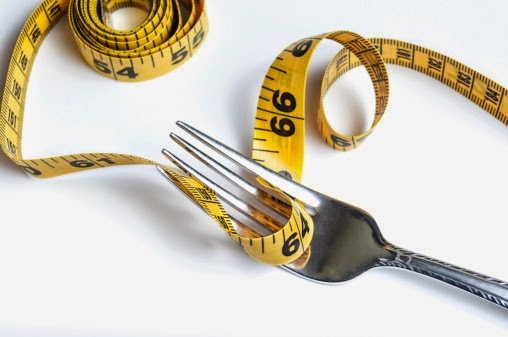 Participants in the experimental group always read a New York Times article detailing the AMA’s recent decision to categorise obesity as a disease, noting the benefits and drawbacks of this reclassification. Control group participants either read a message on “standard tips and tools” for managing weight loss or a message comprised from two pieces about how obesity should not be considered a disease. After being exposed to these messages about obesity, the subjects were then shown a menu of possible sandwich options, and told to order one of the options from the list: The Italian (980 calories), Smoked Turkey Breast (360 calories), Roast Beef and Cheddar (700 calories), BLT (634 calories) or Vegetable Delight (230 calories). The good news is that the AMA is right to celebrate the benefits that it has already touted; labelling obesity as a disease, in the experimental group, did lead obese participants to report higher levels of self-esteem and body satisfaction. The bad news, however, is that this decision might have serious consequences for the public health goal of actually reducing the obesity rate. In both studies, obese participants opted for sandwiches with significantly more calories when they received the “obesity-is-a-disease” message than when they received either the standard information-based message or the “obesity-isn’t-a-disease” message. Unfortunately, it is the very thing that makes the “disease” message desirable that also makes it a curse. Yes, treating obesity like a disease can help reduce stigma, increase body satisfaction, and aid self-esteem. Yet it is precisely these things that can undermine actual goal pursuit – in both studies, lower levels of weight-related concern and higher levels of body satisfaction actually predicted higher calorie preferences in obese participants (though the messages had no effect on the lunch preferences for the average weight individuals). Intuitively, this makes sense. If you’re satisfied with yourself, what motivation is there to pursue any goals that involve personal change? This fits into a long history of literature on goal pursuit, which states that emotions and perceived discrepancies between “actual” and “ideal” or “ought” selves are the driving forces underlying motivation and goal pursuit. It’s not particularly hard to see why the labeling of obesity as a “disease,” which decreases perceptions of controllability or stigma, would increase obese individuals’ levels of body satisfaction – and it’s not particularly surprising to see why that could manifest in poorer nutritional choices. However, as the authors note in their conclusions, it is critically important that research does not stop here. Body acceptance is an important societal movement, and the “thin ideal” has important and meaningful negative consequences as well. It would similarly be dangerous to suggest that we should ignore the importance of reducing stigma and increasing self-esteem, especially given (a) prior research showing that stigma reduction can actually help with goal engagement and (b) our societal focus on reducing bullying. After all, it is important not to be cruel. Yet if the ultimate goal is actually to aid in public health efforts by incentivising good nutrition, we may not get there by comparing obesity to cancer.